Innisfil is a small but vibrant lakeshore community home to long-standing traditions and picturesque landscapes. Its close proximity to Barrie and the GTA has characterized it as a future boom town. 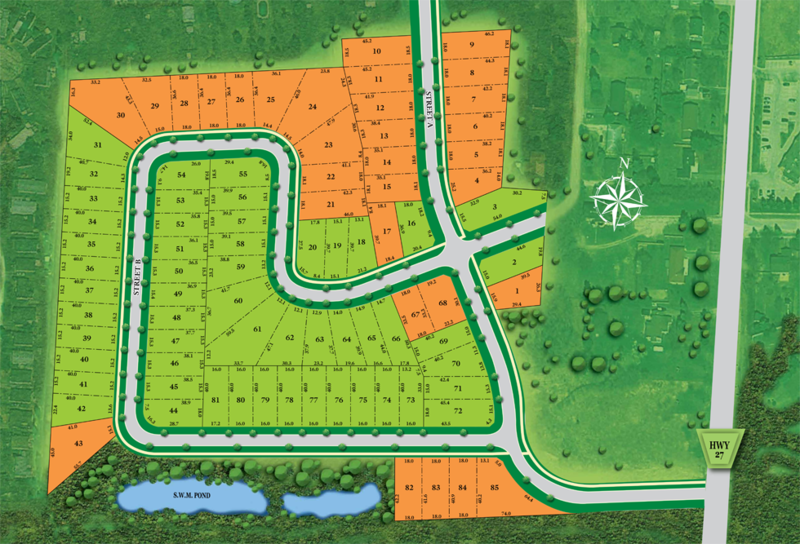 Millfair Village by North Star Homes is the latest single family housing development to put down roots in Innisfil. Its three bedroom bungalows and four bedroom, two storey homes are priced from the low $500,000s. Situated on 50’ and 60’ lots, Millfair Village homes will feature two and three car garages, grand curved oak staircases, vaulted ceilings, cozy fireplaces and oversized great rooms. The classically designed brick and stone exteriors are complemented by well-maintained grounds. Plus, its location at Victoria Street West and Dufferin means Highway 400 is merely a short drive away. Curious to learn more about what Innisfil has to offer? Here are our top five reasons. 1. It’s home to year-round events and festivals. Enjoy Summerfest at Innisfil Beach Park, the annual “Wing-Ding” garage sale, the Cookstown Agricultural Fair, Classic Car Show or perusing the farmers’ market. 2. Residents support their local businesses. For Italian food that tastes just like Nonna’s, head over to Pasta Plus. Or, hunt for treasure at Roadshow Antiques, Canada’s largest antiques mall with over 200 independent vendors. 3. Kids can roam the neighbourhood freely. The future residential neighbourhood will be flanked by meadows and farmland, making Millfair Village a safe and nurturing place to grow up. The winding road that cuts through the private enclave will be ideal for family bike rides and early morning jogs. 4. The Lake Simcoe waterfront. Innisfil is located on the western shore of Lake Simcoe, which bears a scenic waterfront park with trails, picnic areas and sandy beaches. It’s the best place in town to beat the heat during the summer months. 5. It’s a growing community. As of 2011, the population of Innisfil was about 33,000 — a 6.1 per cent increase from 2006. As an up and coming suburb of the GTA, the town is expected to grow by 70 percent to 56,000 residents by the year 2031. Register online to download the Millfair Village brochure and receive exclusive updates about the project. Potential buyers are invited to visit the sales centre at 5th Sideroad and Highway 89 in Cookstown. For more information, please call 705 458 0155.